(The following article is from contributing writer JL Watkins) International superstar Shakira is lending her Grammy-winning voice to Gazelle, the biggest pop star in Disney's Zootopia, D23 Expo fans learned via a taped message from Shakira today. Ginnifer Goodwin (ABC's Once Upon a Time, Something Borrowed, Walk the Line), the voice of the film's rookie rabbit officer Judy Hopps, saluted fans alongside directors Byron Howard (Tangled) and Rich Moore (Wreck-It Ralph), and producer Clark Spencer (Wreck-It Ralph). Hilarious new scenes from the film were unveiled, plus a tease of the all-new original song, "Try Everything," written by singer-songwriter Sia and songwriting duo Stargate, and performed by Shakira. Here's what director Byron Howard had to say about the casting in a statement. "For the role of Gazelle, Zootopia's most beloved superstar, there was only one person on our wish list: Shakira. Luckily for us, she said yes. Her immense talent and charm bring Gazelle and her song, 'Try Everything,' to life." The modern mammal metropolis of Zootopia is a city like no other. Comprised of habitat neighborhoods like ritzy Sahara Square and frigid Tundratown, it's a melting pot where animals from every environment live together-a place where no matter what you are, from the biggest elephant to the smallest shrew, you can be anything. But when optimistic Officer Judy Hopps arrives, she discovers that being the first bunny on a police force of big, tough animals isn't so easy. Determined to prove herself, she jumps at the opportunity to crack a case, even if it means partnering with a fast-talking, scam-artist fox, Nick Wilde (Jason Bateman), to solve the mystery. Byron Howard and Rich Moore direct from a script by Jared Bush, with Clark Spencer serving as a producer. It isn't known when Disney plans on releasing the Zootopia footage that was shown to the D23 crowd this weekend, so stay tuned for more updates. Disney released the first trailer from this animated movie back in June, so we'll surely be treated to the second trailer in the weeks and months ahead. The Gazelle role will mark Shakira's feature film debut. Zootopia opens nationwide March 4, 2016, going up against Sony's comedy Grimsby, 20th Century Fox's Miss Peregrine's Home for Peculiar Children and Open Road Films' Triple Nine. 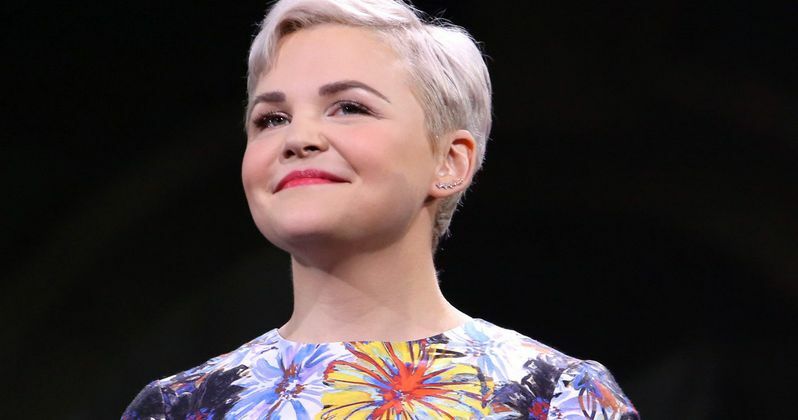 Take a look at our videos featuring highlights from the Zootopia D23 panel, along with interviews with star Ginnifer Goodwin, directors Byron Howard and Rich Moore and producer Clark Spencer.